The 7th PhD school on Traffic Monitoring and Analysis (TMA) will continue the tradition of the six former editions covering topics in network monitoring and analysis going from theory to practice. This year’s School will have 3 tutorials, by 3 distinct lecturers, over a 2 day program. Lectures will focus on fundamental aspects of large-scale Internet measurements and analysis techniques that can be explored by students working on different topics. Each lecture is accompanied by a related practical lab session, where students have the opportunity to put in practice learned notions. The program will additionally include 1 keynote from a Senior lecturer, who will provide a long term view on relevant network measurement research issues as well as on new emerging hot topics. Ozgu Alay, Senior Research Scientist at Simula, Norway. Her lecture will deal with the basics of distributed active measurement and the related lab will leverage the MONROE mobile broadband measurement platform to provide students with hands-on experience with typical issues related to large scale measurements experiments. Alberto Dainotti, Research Scientist at CAIDA, USA. His lecture will discuss fundamental aspects of continuous acquisition and processing of measurement data streams, with focus on BGP data. In the associated laboratory he will also illustrate BGPstream, a tool developed by his team, and he will show how students can profit from such measurements with practical exercises. Emile Aben, System architect at the RIPE NCC, Netherlands. The lecture will provide an overview of the RIPE Atlas Internet data collection system along with a review of the addressed use-cases. In the related lab students will be asked to design and lunch experiments on the Atlas measurement platform, and to process the collected data to address some given problem. John Heidemann, Full professor at the University of Southern California, Computer Science Department, USA. His keynote will provide a long term view on relevant network measurement research issues as well as on new emerging hot topics. The PhD School program includes 6 poster sessions where students will present their own (ongoing) PhD work to other students and to the lecturers, and will receive individual feedback from them. The program features informal interactive sessions between students and the speakers, with the explicit goal of fostering vertical interaction between students and the speakers, and horizontal interaction between the students themselves. Finally, the school program will include social activities on both days, where students, lecturers and attendees of the main TMA conference will have the opportunity to interact informally. Mobile broadband (MBB) networks underpin numerous vital operations of the society and are arguably becoming the most important piece of the communications infrastructure. Given the importance of MBB networks, there is a strong need for objective information about their performance, particularly, the quality experienced by the end user. In order to assess the quality experienced by end users, thorough systematic end-to-end measurements are required. In this tutorial, we introduce MONROE, a unique distributed platform for independent, repeatable, multi-homed, large-scale measurements and experiments in operational MBB networks. We first describe the platform and our design choices while building the platform. We then discuss the different measurements that MONROE enables in order to highlight the potential use cases of the platform. Finally, we demonstrate how such a platform can be used to design, schedule and collect measurements for MBB performance assessment. Following the tutorial, we provide a lab session where students can have hands-on experience with MONROE platform. For this lab session, the students will be given a certain assignment. To complete the assignment, the students will design an experiment and collect the measurement data using the MONROE platform. They will then analyse the collected data. At the end of the lab session, they will present their finding with a lightning presentation (1-slide). A jury will evaluate the presentations and the best presentation will get an award! Speaker: Ozgu Alay, Senior Research Scientist at Simula, Norway. Dr. Ozgu Alay received the B.S. and M.S. degrees in Electrical and Electronic Engineering from Middle East Technical University, Turkey, and Ph.D. degree in Electrical and Computer Engineering at Tandon School of Engineering at New York University. Currently, she is a senior research scientist at Simula Research Laboratory and Associate Professor at University of Oslo.Â Her research interests lie in the areas of mobile broadband networks, multi-path protocols and robust multimedia transmission over wireless networks.Â She is the coordinator of H2020 MONROE Project and involved in many different national and international projects. The Border Gateway Protocol (BGP) is the glue that holds together theÂ networks constituting the Internet. Research based on BGP measurementÂ contributes to improving Internet performance, security, protocolÂ engineering, etc.Â In this lecture and lab, we will discuss the current state of the artÂ in BGP measurement, live monitoring, and data analysis. Â We will thenÂ explore in detail, and through practical exercises, how tools and APIsÂ of the BGPStream software framework (bgpstream.caida.org) enable andÂ facilitate Internet research tasks, including combining BGPÂ measurements with data-plane active measurements (e.g., from RIPEÂ Atlas nodes). Â Speaker: Alberto Dainotti, Research Scientist at CAIDA, USA. 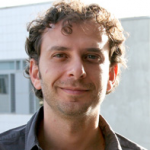 Alberto Dainotti is a Research Scientist at CAIDA (Center for AppliedÂ Internet Data Analysis), University of California San Diego, USA. InÂ 2008 he received his Ph.D. in Computer Engineering and Systems fromÂ Â University of Napoli “Federico II”, Italy. His main research interests are in the fields ofÂ Internet measurement and Internet security, with a focus on theÂ detection and analysis of large-scale Internet events, such as botnet activities, Internet blackouts,Â and BGP hijacking attacks. 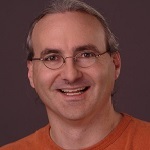 He co-authored severalÂ peer-reviewed papers published at conferences and in scientificÂ journals and is regularly invited speaker at conferences, workshops, and operational meetings (DARPA, FCC, IETF, ISOC, RIPE, NANOG). InÂ 2012 he was awarded the IRTF Applied Networking Research Prize. Lecture: Large-scale active measurements with RIPE Atlas. RIPE Atlas is a large scale active measurement platform. WithÂ over 9500 measurement vantage points (“probes”) all over the Internet atÂ your fingertips, it is a powerful platform for network operations andÂ research. We’ll introduce the platform, and cover topics like how to getÂ information about probes and measurements already running, the measurement primitives available and how to run your own measurements. Lab: Large-scale active measurements with RIPE Atlas. We’ll practice using the RIPE Atlas system by focusing on a fewÂ interesting sources and/or destinations. We’ll try to answer questionsÂ like: Are there any measurements already in the RIPE Atlas system forÂ these sources/destinations that we can use and analyse? Can we createÂ new measurements for them that will reveal interesting new information? Â Speaker: Emile Aben, System architect at the RIPE NCC, Netherlands. Emile Aben is a System Architect for the Research and Development department. Prior to that role, he worked in the RIPE NCC Science Group as a research engineer since 2009. In the 10 years before that he worked as a web developer, sysadmin, security consultant and researcher. He is interested in Internet measurement and technology changes like the transition to IPv6. He frequently posts on RIPE Labs.Â Emile has a MSc. degree in Chemistry from the University of Nijmegen, NL. New network measurements are great—you can learn about the wholeÂ world! But new network measurements are horrible—are you sure youÂ learn about the world, and not about bugs in your code or approach?Â New scientific approaches must be tested and ultimately calibratedÂ against ground truth. Yet ground truth about the Internet can beÂ quite difficult—often network operators themselves do not know allÂ the details of their network. This talk will explore the role ofÂ ground truth in network measurement: getting it when you can,Â alternatives when it’s imperfect, and what we learn when none isÂ available. Â Speaker: John Heidemann,Â University of Southern California, Information Sciences Institute, USA. John Heidemann is a senior project leader at the University ofÂ Southern California/Information Sciences Institute (USC/ISI) and aÂ research professor at USC in Computer Science. At ISI he leads theÂ ANT (Analysis of Network Traffic) Lab, studying how to observe andÂ analyze Internet topology and traffic to improve network reliability,Â security, protocols, and critical services. He is a senior member ofÂ ACM and fellow of IEEE. 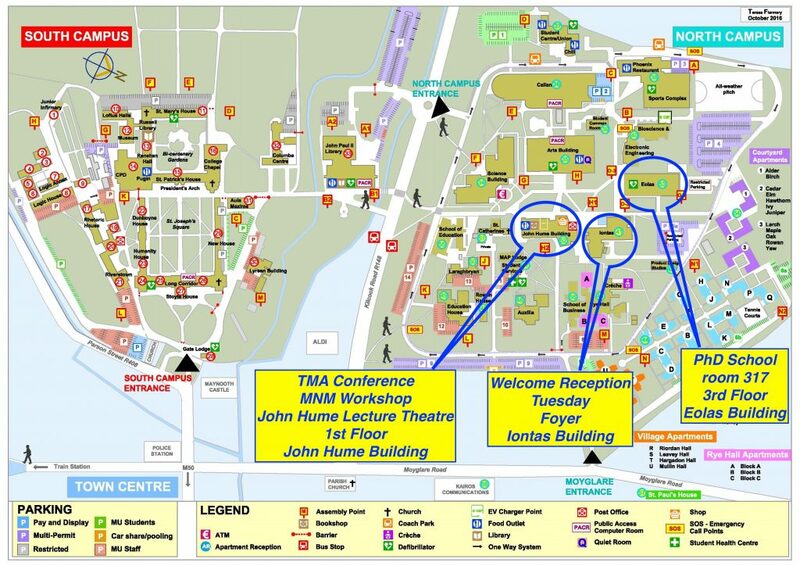 The purpose of this program is to encourage graduate student participation at the TMA PhD School by funding the travel costs (or part thereof) for students who otherwise would be unable to attend. A rÃ©sumÃ© with complete contact information and correct email address. A short personal statement (1 or 2 paragraphs, no more than 1 page) that includes information that the applicant feels is relevant to support his/her case, e.g., why the PhD School attendance is important to the applicant’s research and career development. A letter from your advisor, which should: (i) confirm the applicant’s good standing in the institution; (ii) explain why the applicant would benefit from attending the TMA PhD School. In this case the advisor letter should additionally explain the current funding status and why the applicant is in need of the travel grant. The advisor’s letter can be sent to this mail address,Â if the advisor prefers. We expect a student travel grant will significantly offset registration, air fare and shared hotel accommodation. However, it may not fully cover these expenses, since our desire is to maximize participation by students. In order to obtain reimbursement, you must provide original receipts for air fare and hotel expenses, along with boarding passes (plane or train) for both outbound and inbound journeys. The detailed procedure to get reimbursed will beÂ announced at a later time.